Thanks to today's technology, illegal gambling is accessible to anyone. This CNBC program (formerly an episode of CNBC Investigates) gives viewers an inside look at the high-stakes world of illicit gambling and the ultimate price that people have paid. Technology has made illegal gambling more available to the average person, even though bookies and mobsters never really went away. 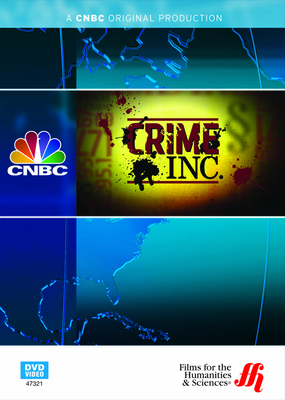 This program by CNBC goes into the world of illegal gambling, both offline and online. The industry is allowing more and more people to profit while also exposing them to risks like prison and personal harm. Viewers are introduced to a professional sports gambler based out of Las Vegas who uses illegal corner bookies but also legally gambles at casinos. A gambling addict is profiled who nearly lost his family, business and home. He now leads the Outreach Foundation which helps gambling addicts recover and get their lives back. Introduction: Illegal Gambling: Crime Inc. – The introduction gives viewers information and a background about the technology used for illegal gambling. It is a multi-billion dollar industry with serious risks including prison and death. Sport Betting Estimates – Sports betting is one of the biggest money makers in the illegal gambling world. Most NCAA and Superbowl bets are made illegally rather than legal channels. Just 1% of sports bets are made in Vegas while the rest are made by “bar room bookies” or at illegal online gambling websites. Huge Underground Industry – Underground casinos, online casinos, and illegal lotteries as well as dogfights are all a part of the illegal gambling world. A sports bookmaker who works in this world talks about the risks of his profession and how a website is created.